Leaf epidermis of 16 species from Chelonopsis and its related taxa, Bostrychanthera deflexa, were examined under both light microscope and scanning electronic microscope. As a result, all species are characterized with irregular leaf epidermis cells, except those of sect. Aequidens (C.souliei, C.forrestii and C.albiflora), which are nearly rectangular. Two kinds of anticlinal walls of adaxial epidermis cells can be distinguished: sinuous and straightarched. Stomatal apparatuses, whose density varies in different species, can only be found in abaxial epidermis. Highly consistent in all examined species are the type of guard cells and the smooth inner margin of outer stomatal rim. What’s more, three cuticular patterns are recognized: ridged, long striped, and with snow flaked or granulate appendages. Consequently, Characters of leaf epidermis in Chelonopsis, such as pattern of epidermal cell and cuticular ornamentation, are of great significance in understanding the relationships at both infrageneric and interspecific levels. In addition, density of stomatal apparatuses may be correlated with the habitat of some species in Chelonopsis. The lichens flora of Tianshan Daxiagu, Xinjiang were preliminarily studied according to field investigation and literature. We used the Color test (CT), Microcrystal test (MCT) and Thin layer chromatography (TLC) method to classificated the lichens species. Eightyone lichen species in 26 genera and 15 families from Tianshan Daxiagu were reported here. There are three major genera have more than 8 species, about 14.81%, 12.35% and 9.87% species respectively. The result shows that lichens flora in this region includs following nine types: Widespread species, Widespread continental regions of North Hemisphere species, EuroAsian north American species, Circumpolar arcticalpine species, Circumpolar boreal species, EuroAsian north African species, MediterraneanWest Asian and Central Asian, Temperate zone species and Endemic to China. The local lichens were divided into 8 different ecological types according to the lichens substrate and environmental condition. To understand the photosynthetic characteristics of three species of genus Rhododendron (R.decorum, R.yunnanense and R.rubiginosum), their gas exchanges and related leaf traits were investigated. The results showed that among the three species, lightsaturated photosynthetic rate (Pmax) was significantly correlated to maximum rate of RuBPmediated carboxylation（Vc max), maximum electron transport rate (Jmax) and stomatal conductance (gs) respectively (P≤0.01), but only the value for Vc max of three species was significantly different suggesting that photosynthesis of the three species was primarily limited by the Vc max. leaf nitrogen content, partitioning coefficients for leaf nitrogen in bioenergetics and in Rubisco were significantly related to Vc max and Jmax. R.decorum had a lower light saturation point (LSP) and higher light compensation point (LCP), a narrow range of light adaptability than the others. R.yunnanense showed the lowest LCP across species, but relatively high LSP, Pmax and a wider range of light adaptability. R.rubiginosum had the highest LCP and LSP, indicating that the photosynthesis of this species can adapt to high light. Biofuel plant Jatropha curcas (physic nut) seeds contain about 30%-40% oil, which is a promising feedstock for producing aviation biofuel and biodiesel. Physic nut is a monoecious plant that produces both male and female flowers in the same inflorescence. The proportion of female flowers in physic nut inflorescences is very low, which is probably one of the most important reasons for its poor seed yield. This study was undertaken to determine the effects of gibberellic acid (GA3) on the flower and seed development of physic nut. The results showed that exogenous application of GA3 induced bisexual flowers and asexual flowers in physic nut inflorescences. 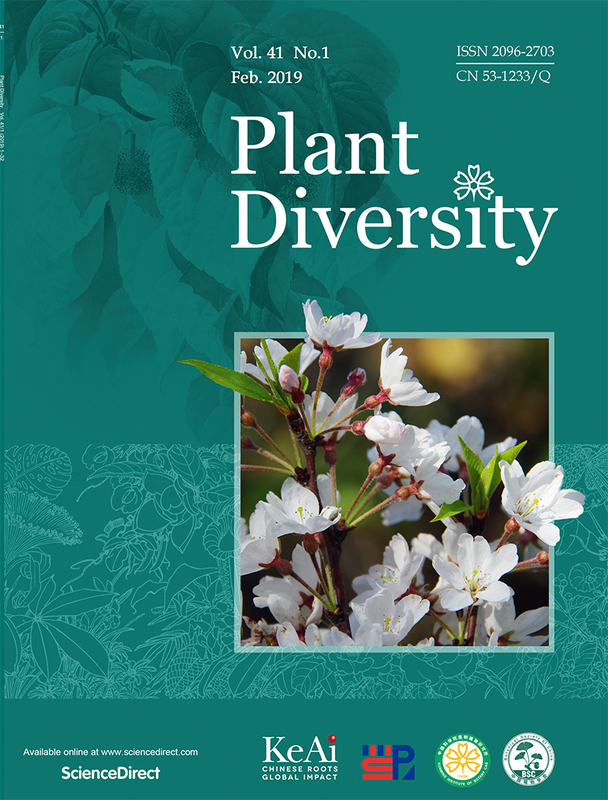 With the increase in the number of induced bisexual flowers, the number of female flowers on the same inflorescence decreased, but the sum of female flowers and bisexual flowers did not varied significantly, suggesting that gibberellin induced bisexual flowers may be derived from the female flowers. In addition, the number of seeds in each fruit, seed size and weight, seed weight per infructescence and seed oil content were all significantly reduced in physic nut plants treated with high concentrations of GA3 (500-1500mg·L-1), which suggested that the development of seeds from GA3treated physic nut plants was abnormal. These results help us to understand the role of gibberellin in regulation of physic nut flower and seed development, and are valuable for the genetic improvement of physic nut seed yield by molecular breeding. There is an optimum time for the asymbiotic germination of some species in Orchidaceae. A better understanding of the seed development would provide information for the germination events. The relationship between asymbiotic germination rate and the anatomical features in seed development of three Paphiopedilum species was studied. The highest frequency of seed germination was obtained when the embryo began to take an ellipsoidal shape, yet the seed coat had not dehydrated, and the suspensor cells were still present. After that, the parenchyma cell of the seed coat began to dehydrate and lignin substances accumulated, therefore lead to the down shift of the permeability of the seed coat, which maybe the main obstacles for the germination of the mature seeds of the Paphiopedilum species. The transcription factors WRKY protein superfamily are mainly presented in plants,which contains at least 74 members in Arabidopsis. It can be classified into three groups according to the number of WRKY domains and the features of their zincfingerlike motif. Arabidopsis WRKY68 is one of the group Ⅱ WRKY proteins. GUS staining and qRTPCR analysis showed that the expression of WRKY68 in roots was the highest in all tissues and the second was in old siliques and young leaves. The expression profiles indicated that the expression levels of WRKY68 were elevated by IAA and heat treatments,and slightly induced by PstDC3000, JA, SA, NAA while which were inhibited by other treatments including Botrytis, NaCl, mannitol, PEG, dehydration, ACC, ABA.These results suggested that WRKY68 might be involved in plant morphogenesis and development which is regulated by auxin and temperature. Mostly PCRbased molecular markers amplified noncoding regions, or the whole genome randomly, the locus is far away from the gene of targeted trait. We developed a novel marker technique called start codon regionrelated polymorphism (SCRP) aimed for the amplification of gene start condon regions. It is based on the use of two primers of 18 nucleotides. The forward primer is designed from the targeted “Kozak” sequence; and the other primer, the reverse primer is an arbitrary sequence with an ATrich core to anneal with an intron. PCR amplification is applied for the first 5 cycles with an annealing temperature of 35℃, followed by 35 cycles with an annealing tempe-rature of 50℃. In the present study, we utilized SCRP to study genetic diversity of 34 alfalfa cultivars (varieties). Each PCR reaction has generated as many as 3 to 16 fragments of 50 to 2000bp in size. The successful genetic diversity of 34 alfalfa cultivars by SCRP was achieved. This new technique should be useful in genotyping germplasm collections and in tagging genes govern desirable agronomic traits of crop plants. We conducted a pot experiment to study the effects of clonal integration on growth of Centella asiatica suffering from heterogeneous saline stress. Distal ramets (younger ramets) of C.asiatica were subjected to high saline or normal soil, and their connections to the proximal ramets (older ramets) were either severed or not. The results demonstrated that, clonal integration was beneficial to the growth of distal ramets and the whole clonal fragments, in terms of leaf area and biomass, and the root to shoot ratio of stolen connection is significantly lower than control. Clonal integration also significantly increased the chlorophyll content and photochemical efficiency of the stressed distal ramets. But, when suffering from saline stress, it has no significant difference between stolon connection and stolon severed distal ramets on net photosynthetic rate. Connecting to the stressed distal ramets brought little cost to the proximal ramets, and never incur the increase of photosynthetic efficiency of proximal ramets. In a word, clonal integration improved the growth of the whole clonal fragments in heterogeneous saline stress, it is important for developing the adaptive strategy of clonal plants in heterogeneous environment. In order to facilitate conservation of forest products, a case study focused on monitoring the distribution trend of an economic mushroom, Tuber indicum, was conducted in Yunnnan province. Geographic Information System and species distribution models were employed to establish both current potential habitat and a future projection of T.indicum habitat, through main environmental and climate variables. Results confirmed that combining environmental and climatic factors in the model building process could greatly increase model accuracy. Among tested species distribution models, MAXENT showed the highest performance. At a large geospatial scale, annual precipitation during the wettest quarter, minimum temperature during the coldest month, geomorphology and soil types played the most significant roles in determining T.indicum distribution. Our future projection showed T.indicum shifting northward under both modeled climate change scenarios (A2 and B2), with the B2 scenario having a lower degree of habitat suitability. The biological characteristics of seed germination and the effects of dispersal birds on the seed germination of Dendrophthoe pentandra were explored in this paper. Results showed that the seeds of D.pentandra were sensitive to the light and temperature. The germination percentage in light condition was significantly higher than that under dark condition. 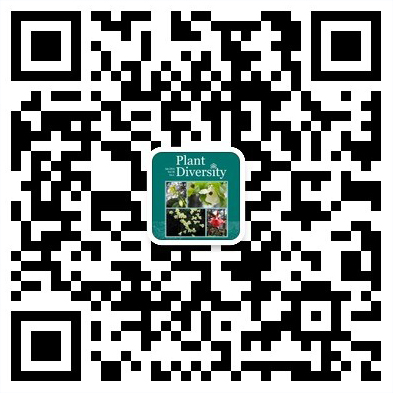 The most suitable temperature for the seed germination of D.pentandra was 20℃, it could be as high as 53.8%, and few seeds germinated when the temperature was 10℃ or 35℃. Our observation identified that Dicaeum concolor was the dominant disperser of D.pentandra seeds in our study sites. We also confirmed that the duration of germination become shorter when the pulp was manually peeled but the germination percentage did not significantly change. However, the germination percentage was significantly higher (69%) when the seeds were digested by D.concolor, to compare with those of intact seeds or manually extracted pulp seeds. Our results indicated that D.concolor made larger contribution to improve the seed germination of D.pentandra. The species of the genus Isodon from Lamiaceae are often rich in diterpenoids with high medicinal value. According to its frame and oxidation level, the chemodiversity of diterpenoid compounds in genus Isodon was investigated in present study. UPGMA analysis showed that Isodon can be divided into two groups: one is the species producing diterpenoids with two or three ring skeletons, the other is producing diterpenoids with four ring skeleton. When the compounds were mapped on the molecular phylogenetic tree, we found that the species producing three cyclic diterpenoids are much older, such as I.lophanthoides and I.lophanthoides var. micranthus, while those producing four cyclic diterpenoids are younger, such as I.adenanthus and I.xerophilus. These results will contribute to finding and exploiting the active ingredients of dierpenoids from the genus Isodon. Currently, biodiesel has become more attractive because of its environmental benefits and the fact that it is made from renewable resources. Most of the biodiesel are from the refined edible type of oil using methanol and alkaline catalyst. However, larger amount of nonedible oil are available. A twostep rapid and efficient lowcost transesterification process was developed to convert the high FFA crude oils to its monoesters. Firstly, acid catalyzed esterification reduced the FFA content of the gross Lindera communis oils to less then 1.5% with 10∶1 molar ratio methanol to oil in the presence of 1% H2SO4 (wt) as acid catalyst. Secondly, alkaline catalyzed transesterification converted the products of the first step to single ester (biodiesel) and glycerol with 15∶1 molar ratio methanol and the product oil of first step. The major factors affected the conversion efficiency of the process were discussed, such as molar ratio, amount of catalyst, temperature, reaction time and acid number. The biodiesel from Lindera communis oil was not redistillation, but its important properties such as viscosity, calorific value, specific gravity, flash point, cloud point and pour point were matched with the standard demand. This study supported the biodiesel product from unrefined L.communis oil as a potential replace to the diesel fuel.